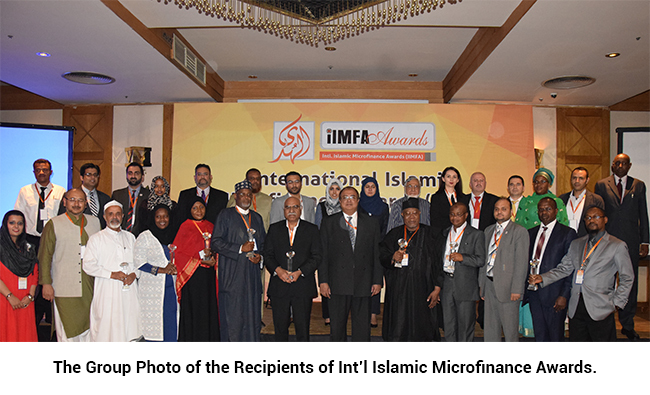 Lahore (Press Release): Int’l Islamic Microfinance Awards were announced in Nairobi, the capital of Kenya to encourage and promote Islamic Microfinance Institutions in which 20 Islamic Microfinance Institutions around the globe received the awards in different categories. AlHuda Centre of Islamic Banking & Economics (CIBE) organises these awards ceremony. Muhammad Zubair Mughal, Chief Executive Officer of AlHuda CIBE by describing the aims and objectives of the awards narrated that Islamic Microfinance becomes today’s great necessity for the poverty alleviation and financial inclusion and the need of Islamic Microfinance Institutions in the world is growing rapidly. 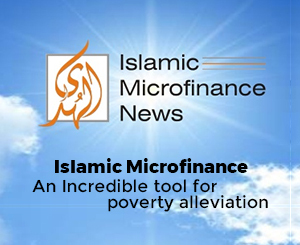 But unfortunately, no such institution came into existence which can encourage the Islamic Microfinance Institutions. Therefore, AlHuda CIBE by appreciating their efforts announces these awards to encourage these institutions and to alleviate the poverty. He said that 92 institutions applied for these awards globally among which 20 institutions were selected for awards from different countries like Pakistan, Nigeria, Kenya, UK, USA, Malaysia, Albania and many institutions of other countries are included in it. Mr. Abdul Muttalab, Chairman of Jaiz Foundation Nigeria was presented the Lifetime Achievement Award in the recognition of his volunteering services towards Islamic Finance. While, Dr. Amjad Saqib, Founder & Chairman of Akhuwat was awarded for the Best Islamic Microfinance Institution. Different award recipient institutions include Path Solution – Kuwait for Best Technology Solution Provider to Islamic Microfinance, Finance Accreditation Agency – Malaysia for Best Islamic Finance Accreditation Provider, Helping Hand for Relief and Development (HHRD) for Best Islamic Humanitarian Organization, Tijarah Islamic Microfinance Bank Ltd. – Nigeria for Best Islamic Microfinance Products, Takaful Insurance of Africa for Best Micro Takaful Institution, National Bank – Kenya for Best Innovative Product, TAQWA SACCOS – Kenya for Best Islamic SACCOS, Amanah Ikhtiar - Malaysia for Best CSR Projects, Hadhramout Microfinance Program – Yemen for Best Islamic Rural Finance Product, AlBaraka Multi-purpose Cooperative Society Limited – Mauritius for Best Islamic Saving and Credit Cooperative, Jaiz Charity and Development Foundation for Best Corporate Social Responsibility, Mrs. Farida Tahir, MD/CEO of Grass Root Microfinance Bank - Nigeria for Best Rising Islamic Microfinance Personality, Dr. Ajaz Ahmad Khan, Care International – UK for Best Contributor to the Islamic MF Industry, Mr. Mabroor Mahmood, ICD – IDB for Emerging Personality for Islamic Microfinance, Qazi Abdul Samad for Best Shariah Advisor for Islamic Microfinance Industry, Mr. Joof Momodou Musa, MD/CEO of Jaiz Takaful Insurance – Nigeria for Best Contributor to Takaful Industry, Mr. Mohammad Raafi Hossain for Islamic Microfinance FinTech Award, Mr. Vehbi Zeriqi for Best I.T Integration & Innovative Product, FAF-DC – Albania for Best Islamic Agricultural and Rural Finance Product, and Mrs. Binta Tijani, University of Bayero – Nigeria for Best Educational Institute for Islamic Microfinance won the award. The award function was appreciated a lot on a large scale while the next Islamic Microfinance award ceremony for October 2017 will hold in Istanbul, Turkey.